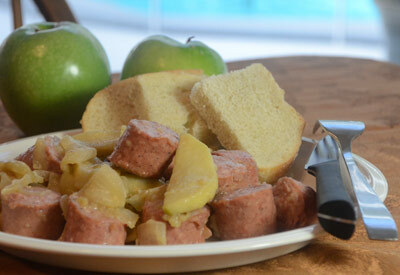 In a large skillet, combine apples, onion, broth and brown sugar. Cook over medium heat for 5 to 8 minutes, stirring occasionally. Add the sausage; heat through and serve.